Apparently I’ve reached the point in this blog where I am beginning to circle back on myself. Earlier this week I gave a Gershwin concert at the Brookdale Senior Living Center of Palm Beach Gardens. I thought I would write about it and record one of the many pieces I played there. So I started to think about what I would say about this special experience--special as it was an all Gershwin program, probably the composer I most admire for his versatility and genius. He wrote some of the greatest songs for the American Songbook, as well as concert and operatic works (we are seeing American in Paris this summer on Broadway; can’t wait!). He singlehandedly removed the barrier between jazz and classical music. Also, of all the composers I play on the piano, my so-called style is most suitable for his works. I wanted to write about my joy of Gershwin, and as I began I had the nagging feeling that I’ve said all of this before. Searching my blog I found pretty much what I wanted to say from six years ago! There are some links to some pieces I “home recorded.” “Google Pages” use to host audios, but no longer does; however, old recordings are grandfathered such as this one of selections from Porgy and Bess. Via Dropbox I can also share a couple of Gershwin pieces I recorded more than six years ago at a studio, the quality of the recordings better but I can now play these pieces a little more professionally, thanks to some lessons I took a few years ago, Someone To Watch Over Me, and Isn’t It a Pity. I can’t imagine where Gershwin would have taken American music if his life wasn’t extinguished by a brain tumor at the age of 38. But his output during his short life was remarkable, from Tin Pan Alley, Broadway to classical and operatic, to Hollywood. He could write in all venues and he was a consummate pianist himself. An excellent, succinct summary of his life and musical accomplishments can be found here. George Gershwin once said that true music must repeat the thought and inspirations of the people and the time. My people are Americans and my time is today. Indeed, he had that “certain feeling” as this piano roll recording of the master himself playing his song That Certain Feeling attests. My audience at Brookdale was more than appreciative. This is the longest of my prepared concerts, lasting a little more than an hour without a break, a medley of 24 songs, including some from Porgy and Bess, and concluding with the theme from Rhapsody in Blue. 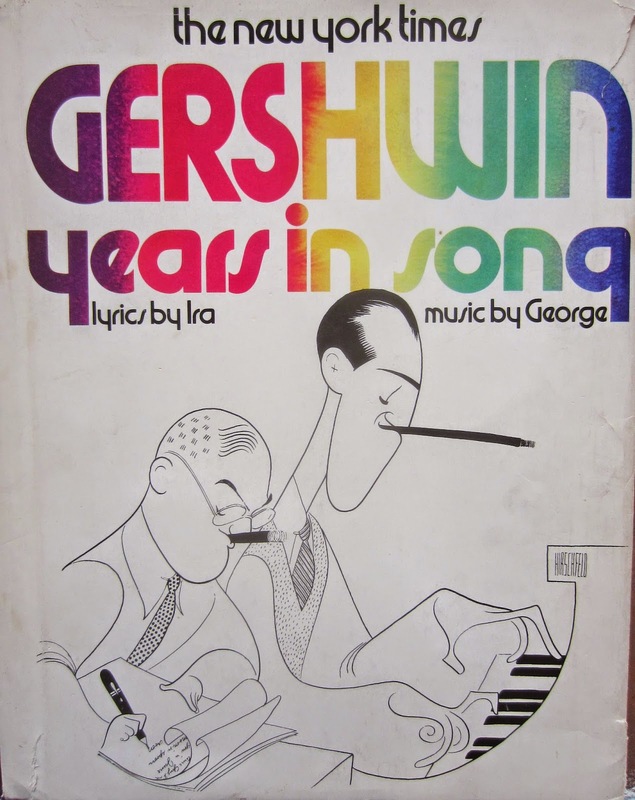 The sheet music for all pieces is from The New York Times Gershwin Years in Song (published by Quadrangle Press which was then owned by the NYT). 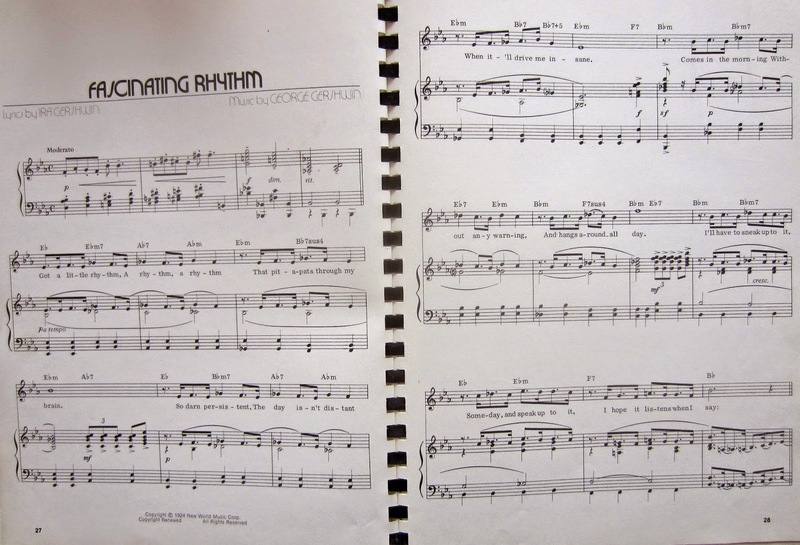 It was presented to me in my publishing days by one of our printers in 1973 and it is a prized possession as the songs include all the introduction sections which, in a George and Ira Gershwin song, can be as interesting as the song itself. I’m grateful to still be playing from this treasure some 42 years later -- and so the circle closes.